We all use to look at our USB Jack once before plugging it into the port. The reason is that we don't/can't remember the right orientation of the port and the jack itself. The group behind the USB standard has begun work on a new connector that's designed to fix a two-decade-old problem: it can be hard to tell which way is up. 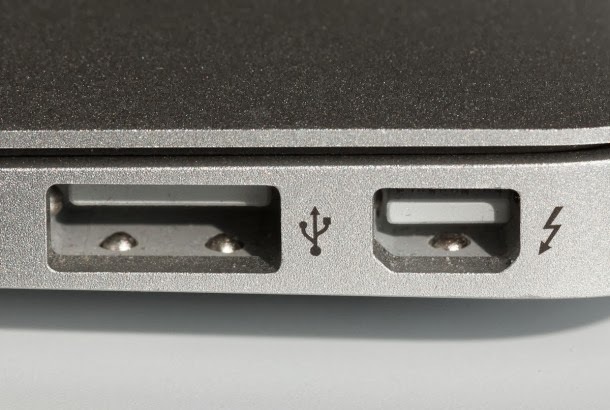 The Type-C connector will make Universal Serial Bus more like Apple's Lightning connector, which is used on newer iPads and iPhones. With it, customers don't have to make sure the connector is flipped upside-down compared to the port. USB is burdened by a variety of different connectors today, meaning that customers often must have the right cable to plug in the right camera, external hard drive, phone, printer, or thumb drive. But the Type-C connector is designed to sweep away all these predecessors with a single, all-purpose port. "This new industry standards-based thin connector, delivering data, power and video, is the only connector one will need across all devices," Alex Peleg, vice president of Intel's Platform Engineering Group, said in a statement. "Intel is excited to see the development of the new thin Type-C connector as it will enable an entirely new super thin class of devices from phones to tablets, to 2-in-1s, to laptops to desktops and a multitude of other more specific-usage devices."